From the World Relief webpage. In Eastern Iowa, the Archdiocese of Dubuque announced in December that it would end its 77-year-old resettlement operation, laying off some employees and transferring others to offices that include its immigration legal clinic. At Catholic Charities in Minneapolis, officials said in May that they would stop resettling refugees and focus on helping a growing homeless population. In Garden City, KS, in Miami and Chicago, individual refugee offices are closing outright. 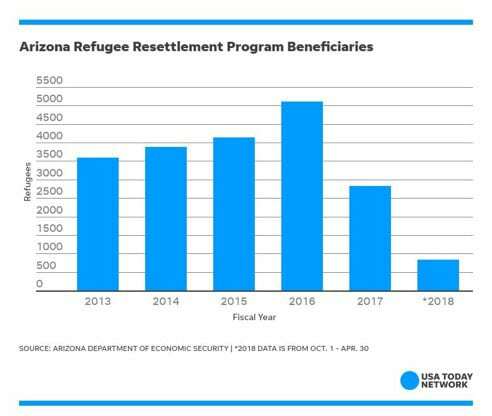 The local resettlement agencies are attached to nine national networks, which would make them stronger generally, but across the country, the flow of refugees is down 70 percent so far this year as compared to the same period last year. 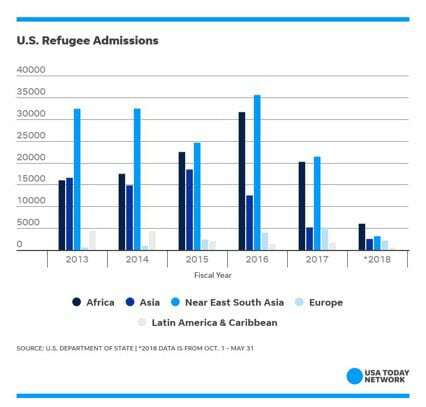 In fact, at the current rate, only around 22,000 refugees will have resettled in the US by the end of the fiscal year in October—and that is not even half of the cap of 45,000 set by Trump. 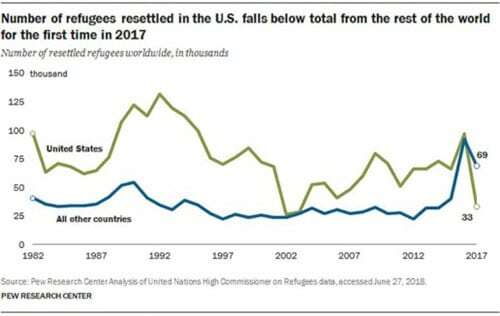 It is also the lowest number since the refugee resettlement program was created in 1980. Here’s how the United States compares across time, up to today when we are, for the first time, not only at our own historic low but lower than the rest of the world. …and this is what the situation looks like in Arizona. 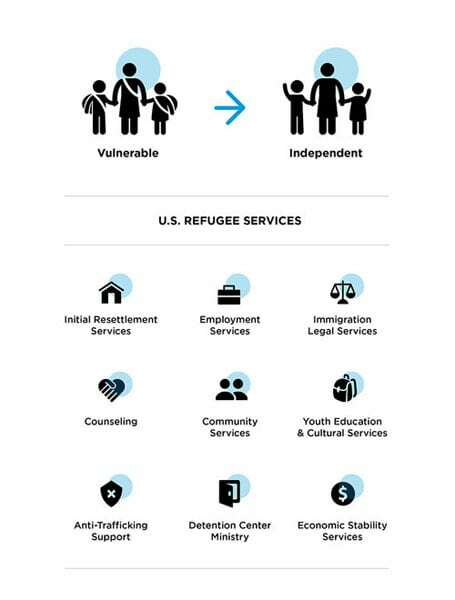 So, if we remember that the resettlement agencies are paid on a per capita basis, that is only when refugees are there to be served we can clearly see why many are now closed, or struggling to stay afloat, or trying to repurpose for a while to hold onto staff and facilities. In short, we are looking at the possibility of losing a good part of the resettlement infrastructure. This is a problem of historic proportions since their staffs are very specialized with very specific language and cultural capacities, along with the right local relationships and knowledge of the field. Food incubators are proving to be a promising approach for helping refugee and immigrant populations achieve economic independence and social integration.